A beautiful hardcover edition of The Magician's Nephew, the first book in C. S. Lewis' classic fantasy series, The Chronicles of Narnia. The full color jacket features art by three time Caldecott Medal-winning illustrator, David Wiesner, and black-and-white interior art by the series' original illustrator, Pauline Baynes. 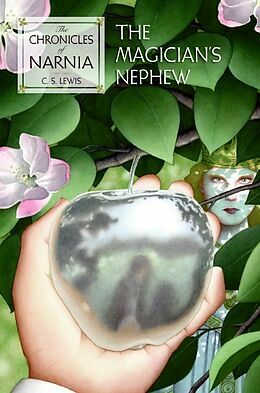 Discover the magical lands of Narnia in The Magician's Nephew, the first title in C. S. Lewis's classic fantasy series, which has enchanted readers of all ages for over sixty years. This is a stand-alone novel, but if you want to journey back to Narnia, read The Lion, the Witch and the Wardrobe, the second book in The Chronicles of Narnia.